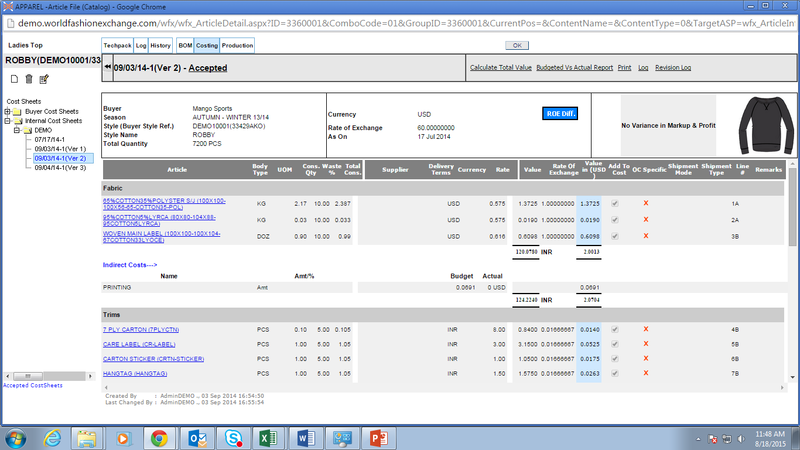 Define budgets for various materials based on target quantities for a particular style. Build in processing costs as control point during execution. 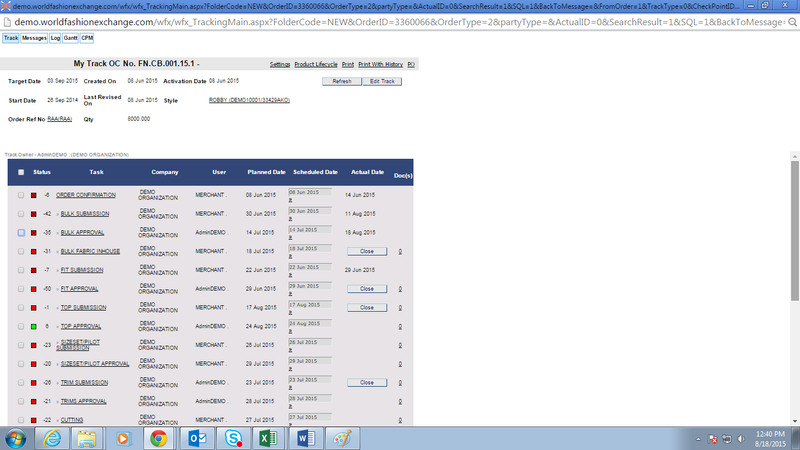 Track order cancellations and/or changes to order ratios etc. 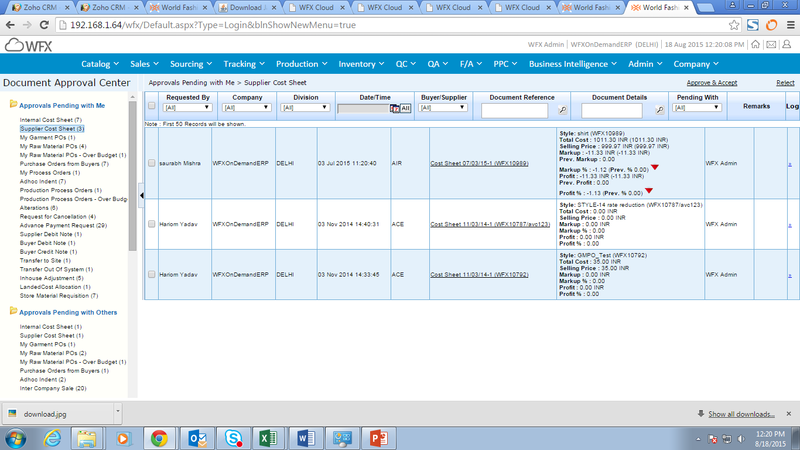 Quick visibility to material requirements and inventory in warehouses or goods on-order. 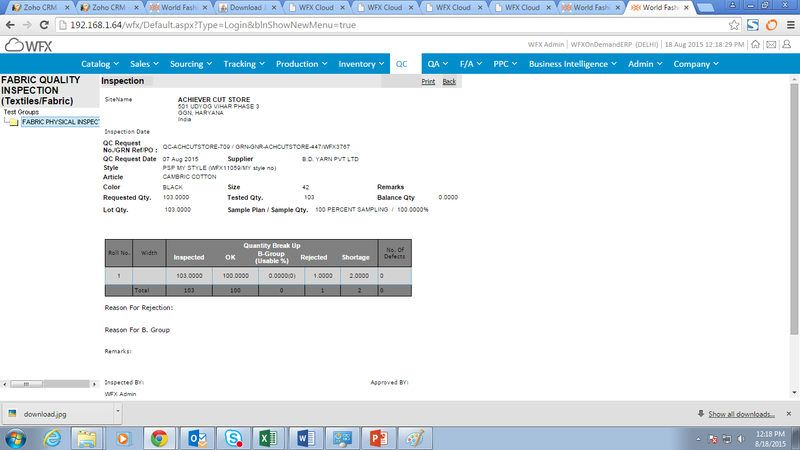 View Fulfillment Options to efficiently utilize available stock. Collaborate with suppliers online and make them part of your Time & Action plan. 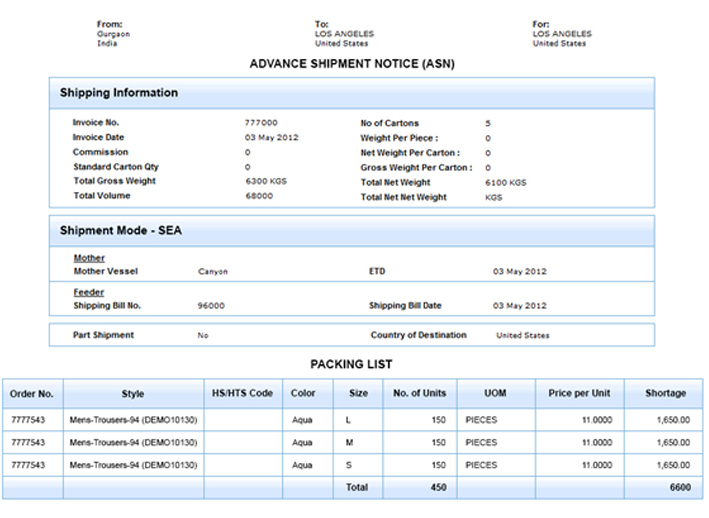 Suppliers can directly input Advanced Shipment Notices (ASNs) and upload invoices. 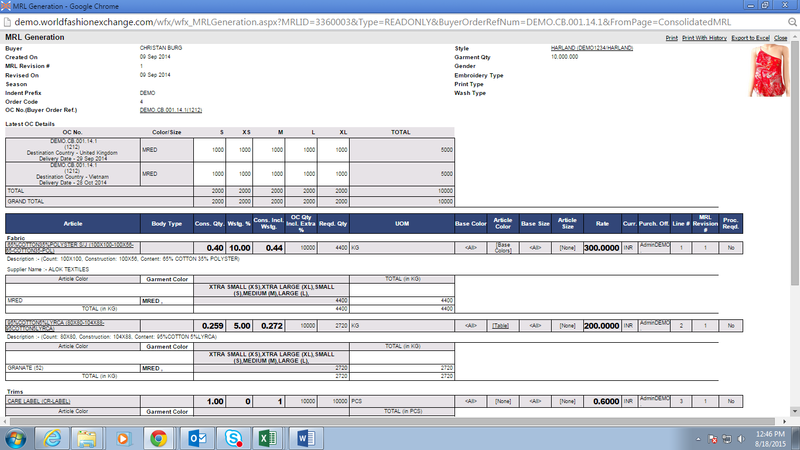 Manage Quality parameters and approve/reject materials. 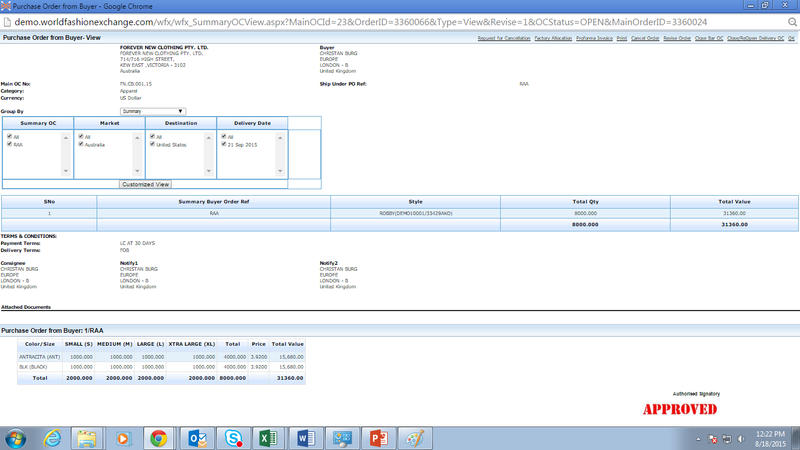 Automatic Debit Notes to suppliers for rejections/shortage of materials. 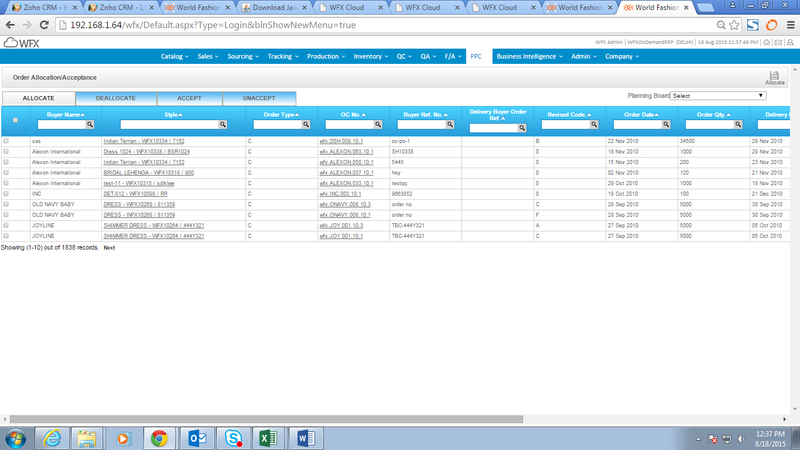 Track daily/hourly production data at line and process level. Track post shipment documentation progress and goods in transit. WFX Apparel ERP is developed specifically for the needs of apparel, leather and home furnishings companies. WFX fashion ERP’s interconnected modules are flexible, configurable and span the entire manufacturing process, from style development to the shipment of finished garments.With unprecedented domain knowledge in fashion, apparel, footwear & home furnishings, WFX Apparel ERP software offers specialized end-to-end solutions for different segments of the fashion value chain including: Manufacturers, Brands & Buying/ Sourcing Agents. Inbuilt tools in WFX Apparel ERP allows easy sharing of purchase orders and production updates instantly with global offices, factories and vendors in real time. Flexible reporting tools in WFX Apparel ERP allows complete visibility and helps reduce delays & lead times enabling accurate and timely decision-making. Request private quotes from multiple vendors with WFX Apparel ERP. Compare, negotiate and confirm costs online. Generate escalation based alerts on WFX Fashion ERP to prompt internal users across offices as well as suppliers to perform on-time. 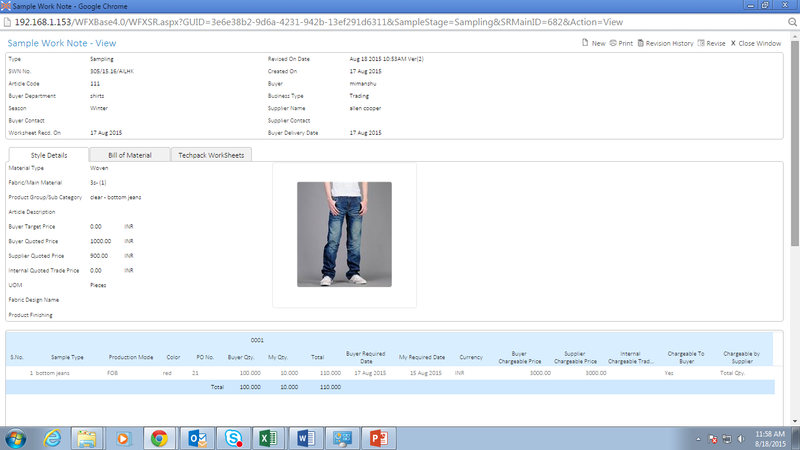 Enable private discussions within your organization, collaborate with internal departments or communicate with vendors - all in one threaded dialogue with WFX Fashion ERP software. 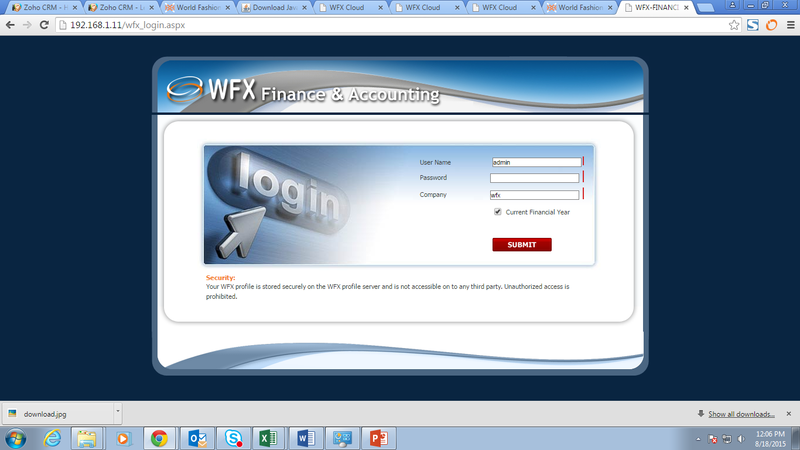 WFX Fashion ERP integration tool kit allows for easy integration with any 3rd party software including in-house systems. WFX Apparel ERP software is compatible on both the web-browser as well as the iPad providing users with greater mobility. Analyze profitability per order/per and drill down to global, region, country, office, supplier and user level with WFX Fashion ERP. 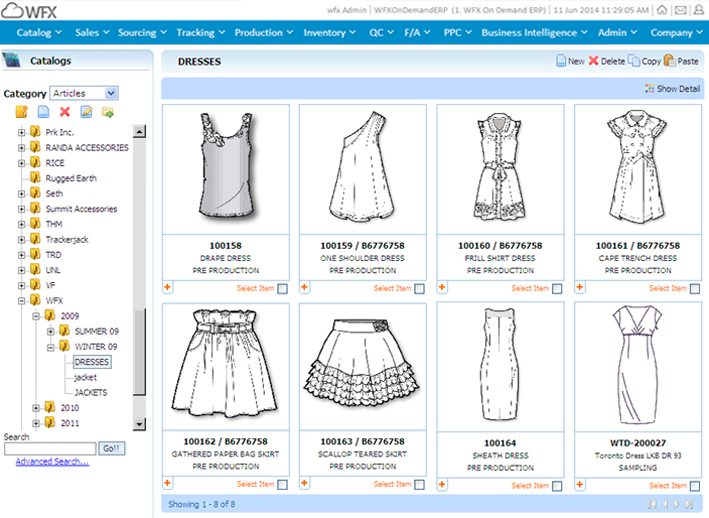 WFX fashion ERP software is 100% cloud-based and covers product development to shipment. This garment software gives your business the technically advanced platform it needs to stay ahead of your competition. Enjoy streamlined processes, increased productivity, enhanced supplier relationships, and significantly improved support. WFX Apparel ERP software is user friendly, easily adopted by all and enables you to get information at your fingertips, keeping you in control of your business and finances. From fashion ladies wear, to leather bags, to home décor products, today’s fast-moving fashion companies design in multiple locations, source in others, and manufacturer in yet others. WFX fashion ERP solution lets them share real-time data across multiple global locations, product categories, brands, seasons and collections. WFX is the best fit ERP solution for the fashion industry that automates the entire operations of the garment manufacturing process with seamless integration at all levels and is entirely cloud based. WFX apparel solution is designed with industry best practices and is easy to scale with multi company, multi currency and multi user functions. The product has built in functions to cater to small, mid-sized and large businesses and is easy enough to customize to also cater to company’s specific business needs.